Until March 10 only! 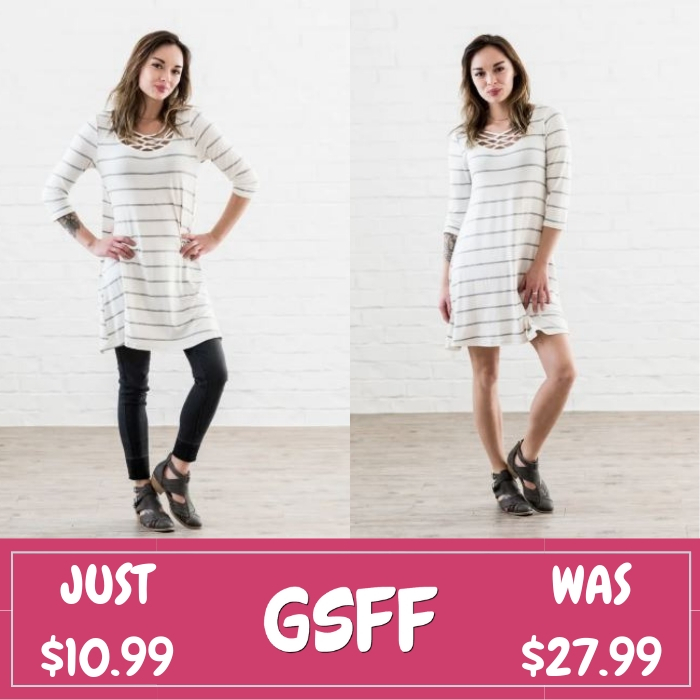 At Jane, you can get this 3/4 Sleeve Striped Tunic Dress for just $10.99 down from $27.99 PLUS FREE shipping! Simply comfortable, 3/4 sleeves, versatile u-neck tunic or dress with crossed string neck detail. You’re gonna love it! Through March 9 only! 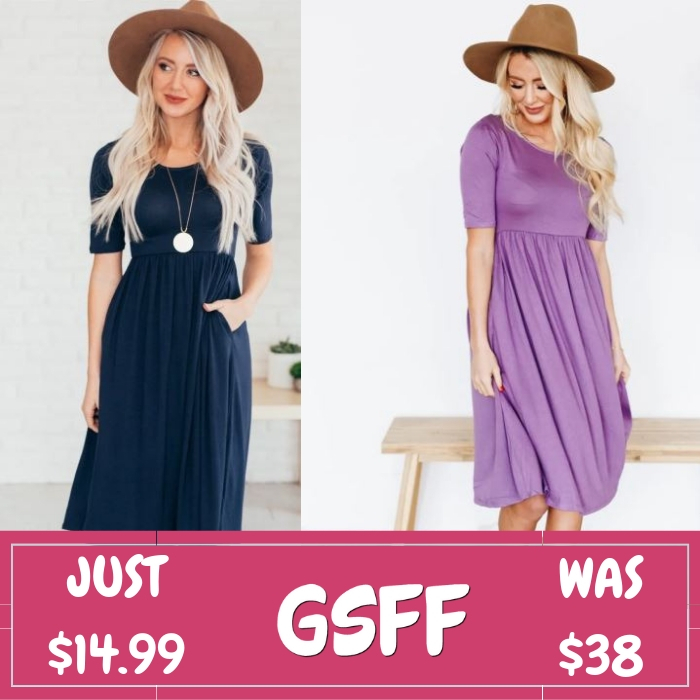 Jane is offering this Perfect Easter Dress for just $14.99 down from $38! Shipping is $4.99 for the first item and $2.99 for each additional item. What’s not to love about this dress?! 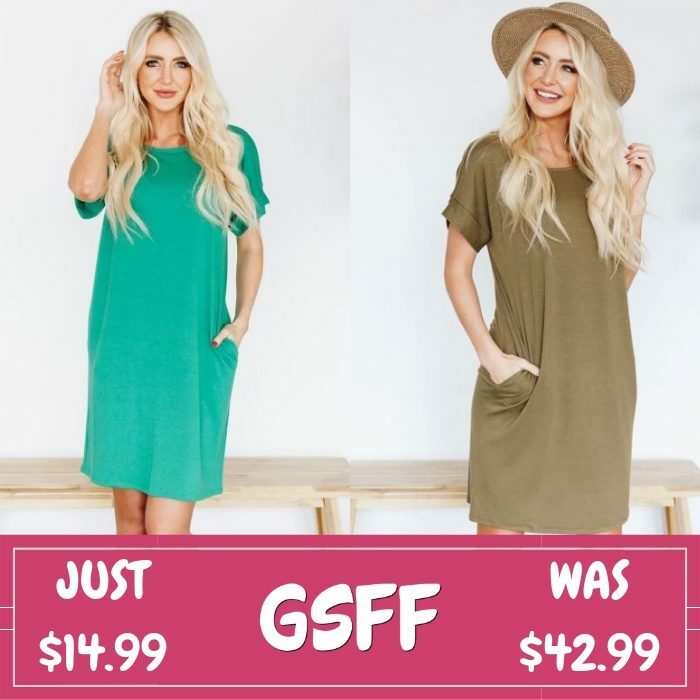 This dress has an easy fit and is made with ultra soft fabric. Plus, did we mentioned that it has pockets?! Yep, we love cute little dresses with pockets that can be dressed up or down. Pair it with flats for a casual outfit or pair it with heels for a night out in town! Through March 8, Jane is offering this Beach Dress for just $14.99 down from $42.99! Shipping is $4.99 for the first item and $2.99 for each additional item. If you like to dress comfortably without sacrificing fashion in the process, this rolled short sleeve dress with pockets is perfect for you! It allows you to be put together and fashionable while still feeling comfortable.